I want to create a burst, how? If you are familiar with creating embed campaigns, then you will be an expert in no-time. 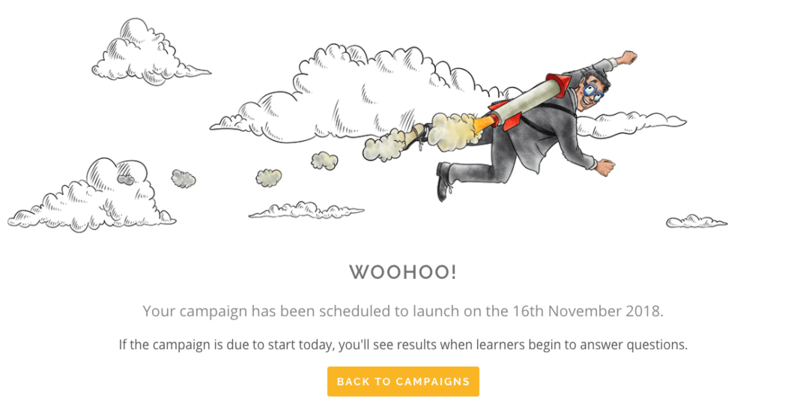 If you are new to creating Yarno campaigns, then this guide is all you need to become an expert. Let the sherpa know you have this, no oxygen tanks required on this climb. A burst is designed to communicate or test knowledge quickly and efficiently by delivering all questions in one go. These campaigns are typically 5 to 10 questions long. For the following steps, you can save at any time and return to the dashboard. Just click Save and return to the dashboard in the top left corner of your screen. Note: You can also copy an existing campaign by selecting Yes, please. 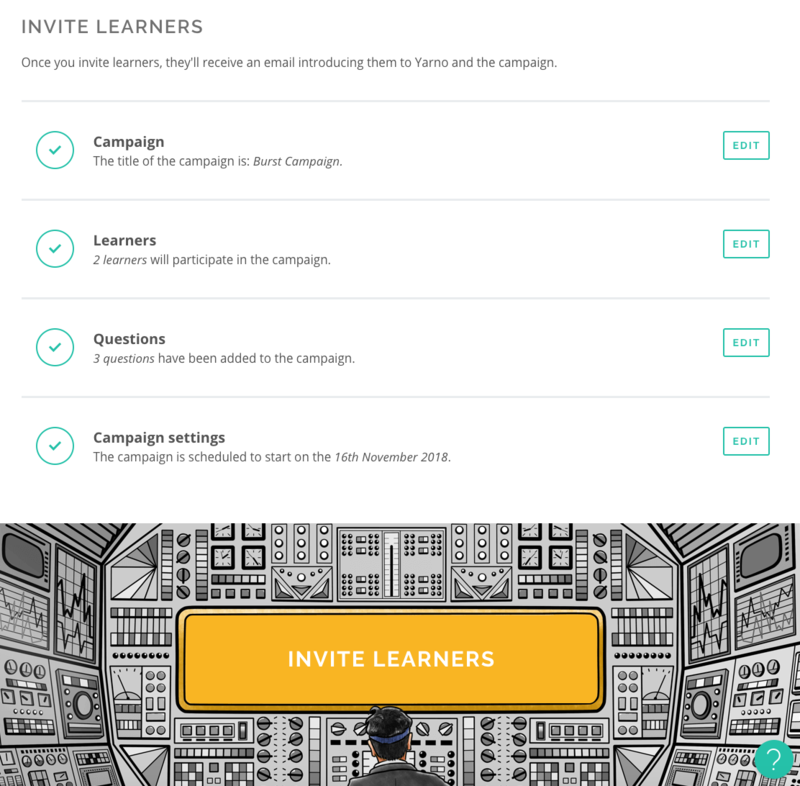 Once clicked, select the Campaign and select the settings from that campaign you would like to copy. 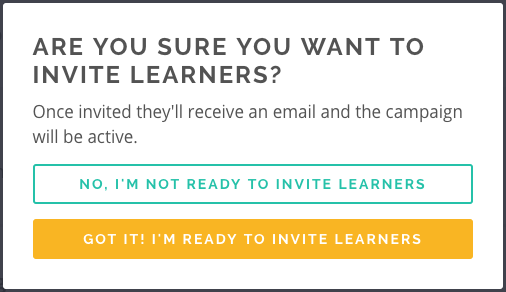 Note: It is essential you click the Add to Campaign button above the learner table after selecting the learners. Note: If the learner list feels a little unwieldy, you can use the Team Filter or Find a learner search to refine the results. Note: It is essential you click the Add to Campaign button above the question table after selecting the question. Note: If the question list feels like an obnoxiously long receipt, you can use the Tag Filter or Find a question search to refine the results. 10. By now we expect that you have not even broken a sweat on this climb to launching a burst campaign. One step to go. Go ahead and click Save & Next. Please don't hesitate to Contact us. We will ensure you are well taken care of.